June and July must be book release months. Not only do I have two books novellas coming out, but so do others. 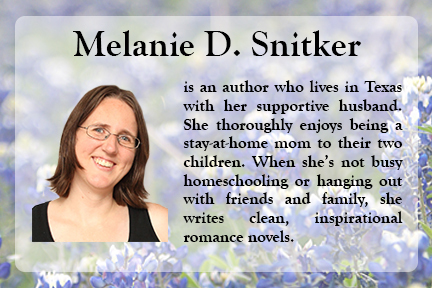 Today, we have Melanie Snitker and her book, Finding Hope. I was given the opportunity to read it ahead of the release. And, well… Read the review. Then go buy the book. After reading the book and reviewing it, a couple in our church found out that he has cancer. He’s in his 80s, but he is also her second husband. She lost her first husband to cancer. I cannot imagine what she is going through, but after reading this book, I can imagine a little better. If you think to pray about this sweet couple, I know they would appreciate your prayers. And now, here’s a little info about the book. Isn’t the cover gorgeous? That one word has rocked Lexi Chandler’s life to the core. Her focus has always been to help others. She loves being a nurse and enjoys spending time with her family. Things had been going according to plan. Now she’s struggling to pick up the pieces and make sense of the changes in her life. Lexi, Lance, Tuck, Laurie, Serenity, Gideon, Finnegan, Lance’s family… They’re all super fun and well developed. I want to meet them all in real life, but that’s impossible. Unfortunately. Sometimes heart-wrenching, sometimes laugh-out-loud hilarious, sometimes perfectly romantic, and sometimes beautifully serious, honest, and open. The dialogue was perfect for each of the characters and unique to all of them. The words I would choose to describe the plot are: unpredictable, fun, serious, heart-wrenching, and relevant. 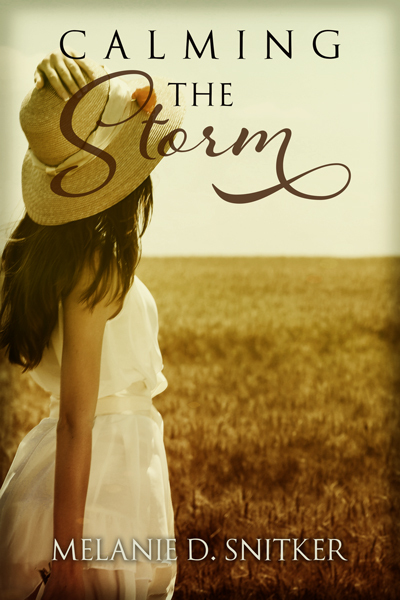 This book is about a young woman who gets cancer. If you know anyone who has fought cancer, you will be able to relate to this book. Even if you haven’t had to stand beside someone who has fought with cancer, you should still be able to relate. I did. The writing was engaging, well-edited, and well done. Nothing in the book pulled me out of the book except for the two minor typos I saw. But, since it was an Advanced Reader Copy that I was reading and got directly from the author (who asked me to let her know if I found anything), I told her about them and I am confident they have been fixed. Even those two things only pulled me out for the time it took me to highlight them so I could remember where they were later. I received this book this morning and read it in less than three hours. Only putting it down for family devotions, piano practice, and breakfast (all of which were right in a row). That should tell you how hard it was to put down. Especially since I usually do put books down so I can write or do something else, no matter how good they are. In conclusion, I highly recommend this book. It is a quick, easy read, but full of depth and wonderful characters. If that doesn’t entice you enough, read it so you can find out why Lance always goes by his nickname of “Lance” and why, even many of his friends growing up didn’t know what his full name is. Where do you usually do most of your writing? I use my laptop 99% of the time. I have a desk set up and I work there a lot. But I also lounge in the recliner in the evenings, too. I don’t use a mouse, though. I prefer my trackball. Do you and your family have any pets? We have two dogs named Jasper and Jessie. Both dogs are great with the kids and Jessie, especially, loves to play with them. We also have a twenty gallon aquarium with two black mollies, one swordtail, one zebra danio, and two dojo loaches. One dojo loach in particular, Leroy, has quite the personality. Sounds like a busy household! What do you like to do in your spare time? I enjoy reading and photography a lot. The whole family is into archery. I like to bake and experiment with different combinations or ways to make a recipe healthier. My favorite thing is hanging out with my family, no matter where we are. Tell us a little about your latest release, Finding Hope. 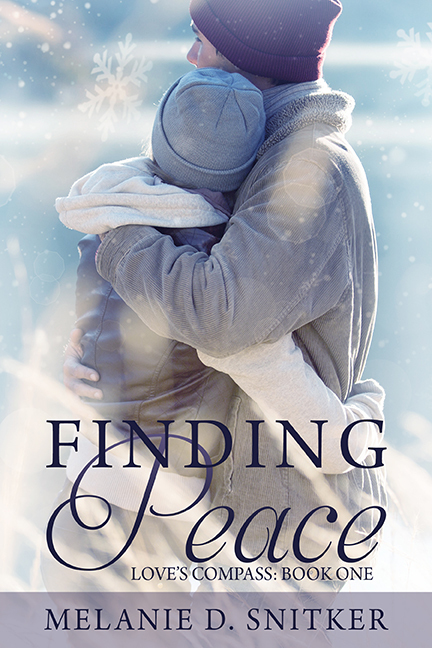 When I first wrote Finding Peace, I knew I wanted to have a book dedicated to Lexi. She’s such a strong, independent character. Sure, she’s faced challenges in the past. Her dad passed away some years ago and the relationship between Lexi and her younger sister, Serenity, isn’t what she wants it to be. But, in general, things are going well for Lexi now. She goes into her doctor worried about one thing, and is completely shocked when she’s told she may have cancer. It makes her re-evaluate everything in her life and she has to give up some of her independence to rely on the people around her. Hard, hard stuff there, but I thought you did a great job with it. What was the inspiration for the story line? I personally have never had cancer. But both my mom and my aunt have as well as some other family members and friends. It’s a nasty disease that attempts to steal the hope and joy from those it affects. I have seen people face cancer with such an incredible amount of dignity. Towards the end of writing this book, a wonderful lady I’ve known for years lost her life to cancer. There were a lot of emotions for me as I wrote this story. Wow. That is sad, but it made for a very powerful book. What’s next for the series? I’m currently working on Finding Courage, which is about Avalon and Duke. I first introduce Avalon in Finding Hope and as soon as her character came to life, I knew she needed a book of her own. I’m working towards a release of early October. The next book after that will be about Serenity and her son, Gideon. Thanks for joining us today, Melanie! 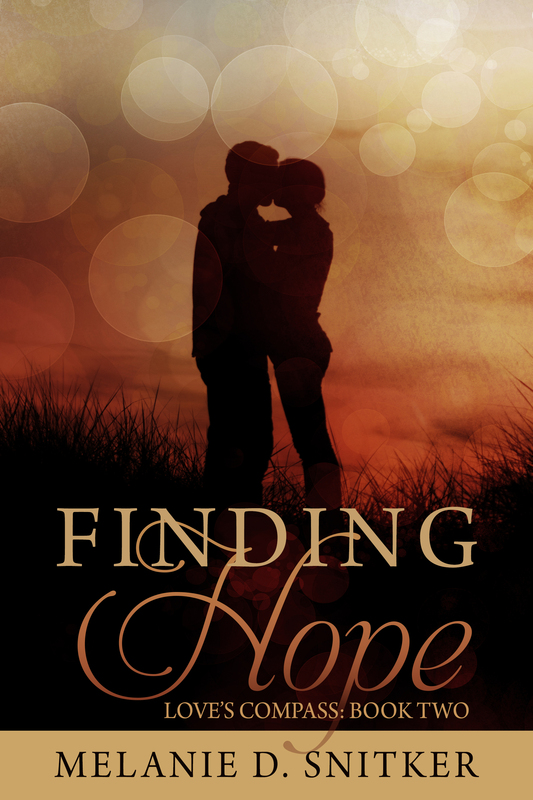 And here’s an excerpt from Finding Hope. “A mass.” Lexi heard herself say the words, but it sounded like they were coming back to her through a tunnel. That her pain was caused by anything more than a stubborn ovarian cyst had never occurred to her. Now she tried to wrap her mind around that idea and it wasn’t working. Oncologist. Ice penetrated her heart. The chill traveled through her blood to every part of her body. She realized Doctor Yates was still talking and forced herself to focus on his words. Lexi stared at her legs, no longer seeing the flimsy paper gown. Minutes ago, covering her legs had been a priority. Now, she felt exposed in an entirely different way. There had been many things she’d taken for granted in her life, including her health. The doctor was waiting for a response. She nodded and watched as he walked out of the room followed by the technician. She got dressed again, her fingers numb as she tried to smooth the front of her shirt. A twinge in her side made her cringe. She’d always pictured a cyst on her ovary. Now, in her mind’s eye, she imagined a nasty little monster clinging to her organ and sucking the life out of her body. There was a knock on the door and it swung open. Lexi jumped and folded her arms. Five minutes later, she stepped out of the doctor’s office and into the sunshine. It was an unseasonably warm summer, and she could feel the heat on her arms. It did little to thaw the chill inside her. Somehow, she managed to put one foot in front of the other until she was enveloped within the safety of her car. She tossed the information onto the passenger seat. The words at the top of one piece of paper — Cancer Center — seemed to leap off the page. She moved the pages so that it ended up at the bottom and the words were no longer visible. Her shift at the hospital didn’t start until that evening. All of the plans she’d had for the rest of the afternoon seemed trivial. Thank you so much, Faith, for the opportunity to be on your blog! I also appreciate the review and I’m glad you enjoyed the book!